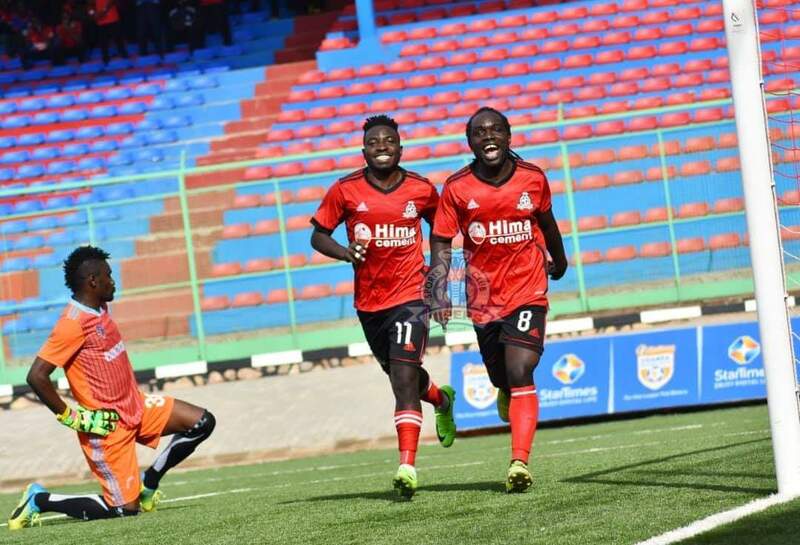 KITENDE – Vipers SC maintained their 100% winning start to the current league campaign thanks to a 1-0 victory over troubled Nyamityobora at the St. Mary’s Stadium on Saturday. The Venoms who came into the game having won their first two games had to thank last season’s top scorer Daniel Sserunkuma for his first goal of the campaign. Nyamityobora missed a glorious opportunity to go ahead with five minutes on the clock when star player John Wesley failed to react and pounce on an error by Vipers’ custodian Fabian Mutombora. From then onwards, the host took charge and it was Sserunkuma who put them ahead on 11 minutes exhibiting poaching instincts to tap home the ball after it was spilt by the goalkeeper. Yayo Lutimba nearly doubled the Vipers’ lead with a thunderous strike but the visitors’ custodian did well to save for a corner. After the break, Vipers took the foot off the peddle and Nyamityobora started to grow into the game partially, creating a very good opportunity for Patrick Gonahasa who failed to connect with the Mutombora at his mercy. Despite not adding to their early goal, the Venoms saw out the 1-0 result to register a third consecutive win at the start of the season. The three points take Vipers back on top of the league summit with nine points, two ahead of KCCA FC and URA who both triumphed in their respective fixtures on Friday. For Nyamityobora, the have received a baptism of fire in the top flight, losing all of their opening three game. They are now second from bottom and remain one of three teams (others being Police and Maroons) yet to register a single point after three rounds.